Hot Stones Massage is a relaxing and effective therapeutic massage of the body. It can help relieve stress, aches, pains, knots and muscle tension. With the direct heat from the hot stones relaxing the muscles, it allows for a greater intensity massage. 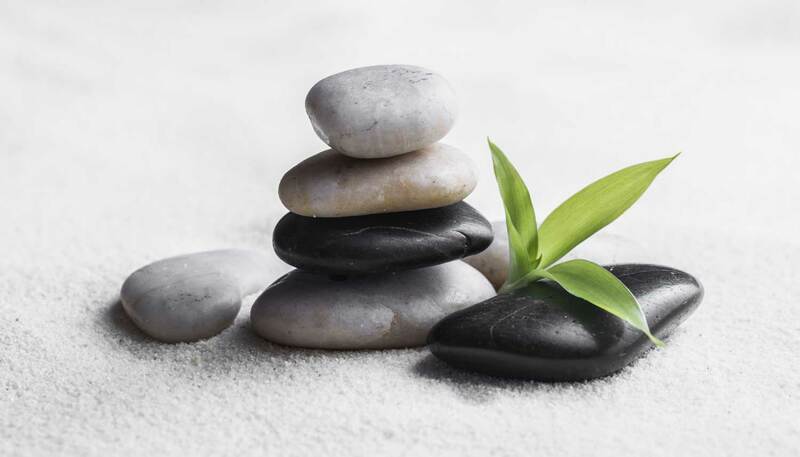 Depending on what each individual patient would like to gain from their Hot Stone Massage the result has been described in many different ways; calming, energizing or simply very relaxing. It offers deep therapeutic comfort and healing and if conducted by our highly qualified sports massage therapist, can also aid muscle health and regeneration. You lay on our specially prepared massage table covered with warm soft towels. Volcanic basalt stones are used which are rich in natural minerals, including iron and magnesium silicate. Most stones used in Hot Stone Massage are handpicked from South American River beds. The stones will then be heated in a special heater to a temperature of approximately 50°C. Top quality organic oil is gently massaged into your muscles and then the pre warmed stones are used to deepen the massage. Some stones may be left to rest on your body during the massage to help relax your muscles further. Hot Stone Massage reduces muscular aches, pains, sprains and strains, including lower and upper backache, (especially when combined with Sports Massage). It can improve circulation, helping the transportation of oxygen and nutrients around the body and at the same time remove harmful toxins whilst boosting the immune system.